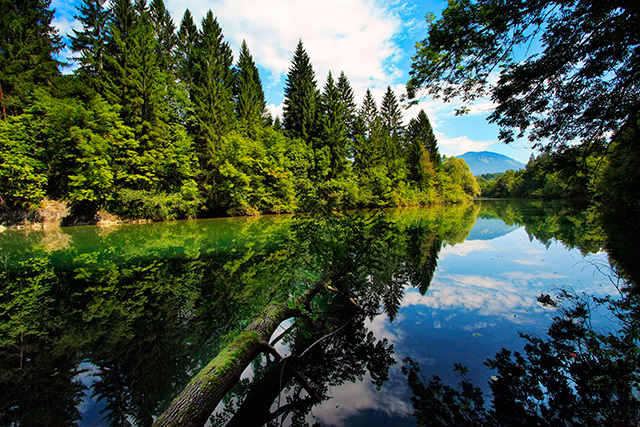 - Swimming in Bohinj Lake is very popular. You can also rent canoes/kayaks and row on the lake for pleasure: at our partner Alpinsport you will get 20% off - see your benefits as you are our guest. Rafting, canyoning, paragliding ... you can arrange these things with Alpinsport directly. It is best to contact them before your arrival in Bohinj. They can also organize hiking tours for you. A short hike. You can combine this trip with a bike tour to Hut Savica, some uphill and downhill biking. 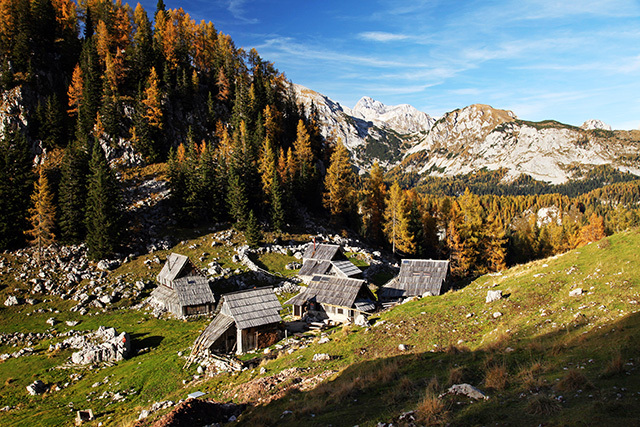 You can combine this trail with easy hiking paths to numerous mountain pastures (alpine meadows) above Bohinj. There are some hiking tours available from easy walking to medium mountaineering like a main ridge traverse with great panoramic views. You can also help yourself with a chairlift. - Near Bohinjska Bistrica (in the other direction, uphill from our apartment house) there is another alternative: ski centre Soriska planina highlands. They offer panoramic lifts; it is recommended to take a trail along Rapallo border with bunkers, trenches and barracks dated from the period after WW1. You can continue to the Large Lake or to mount Ticarica. The return is possible the same way, or you can choose a way via Komna. One day hiking tour. 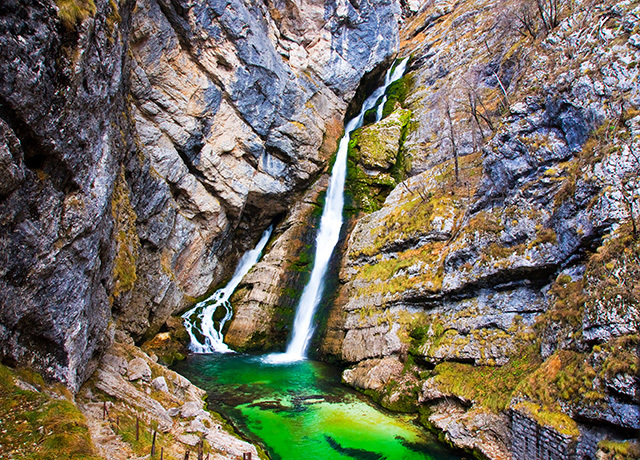 Best combined with the visit of Waterfall Savica. 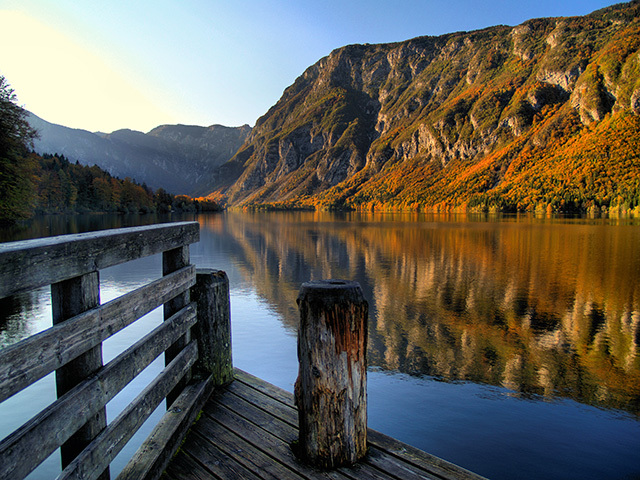 A shorter round trail is also possible but you will miss the Lakes Valley: Savica - Komarca - Black Lake - Komna - Savica. Drive to Rudno polje (biathlon centre, half an hour drive from Bohinjska Bistrica). C. Easy hiking paths to mountain pastures above Bohinj. Drive with a car from Stara Fuzina to Blato (you have to pay for the road) or start from Stara Fuzina in the valley. From mountain pasture Blato or Vogar take a trail to Planina Jezero with a refuge hut or to some other numerous mountain pastures (alpine meadows) in the vicinity (Dedno polje, Laz, Krstenica, etc.). 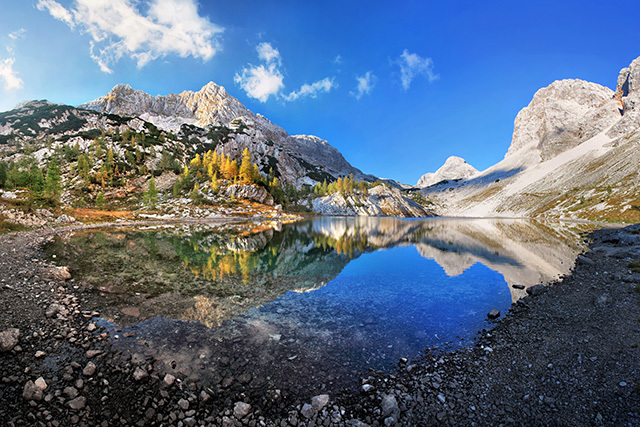 You can also combine the tour with climbing some peak like mount Zelnarica, Debeli vrh ... You can also choose a trail from Blato to beautiful Lakes Valley, easier than the trail from Savica. - Rudno polje (Pokljuka): Bohinj - Goreljek - Rudno polje - Uskovnica - Bohinj. - Soriska planina: Apartments Bohinjskih 7 - Soriska planina highlands. You can combine this tour with a Rapallo border hike (see the mountaineering section above) or take some attractive mountain bike trails for experienced mountain cyclists: well-groomed footpaths and mule tracks will lead you across nearby peaks, so you can enjoy beautiful views, explore the legacy of the Rapallo border or discover surrounding peaks with a bicycle. 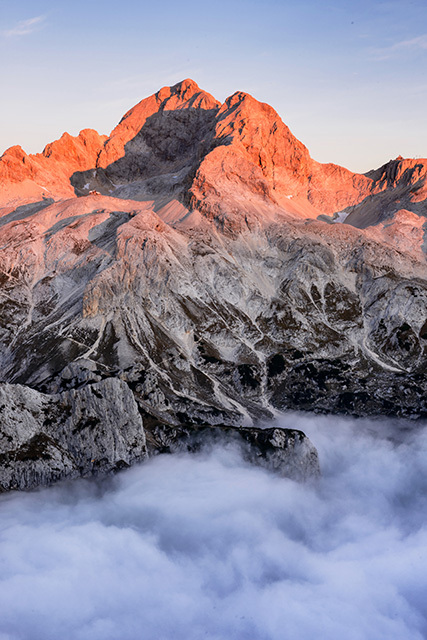 - If you continue with a car to the end of the road, then you can take a short hike till the end of the valley and you will see famous Triglav northern wall. 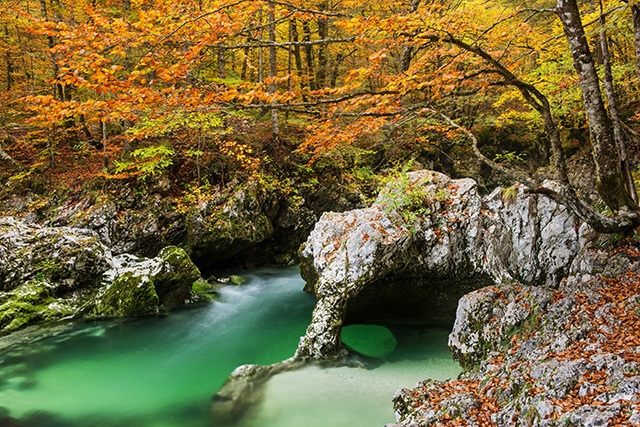 You can take an easy trail that will take you right under the mount Triglav and/or continue to the Luknja pass. - From the Vrata Valley there are a lot of possibilities for mountaineering within one day. Whole day round tour over mountain Stenar has a stunning view to Triglav northern wall. On the top of Vrsic Pass there is a mountain refuge and it is very recommended to visit Slemenova špica with a beautiful view to "crystal" mount Jalovec (very easy mountaineering, hiking): http://www.slovenia-trips.com/eng/hiking-mountaineering/trip/985/Slemenova-spica. For more demanding mountaineers there are easy to extremely difficult mountain trails with spectacular views: Mala Mojstrovka and Prisojnik/Prisank. - Trenta and Soca river: Source of Soca river, Soca Gorge, Soca Trail. The quickest way from Bohinj to Soca valley is by a motorail train.